Wingman suit carrier by Henty Designs of Australia made debut at the Triathlon Show in Sandown. US distribution to follow. 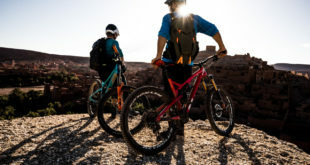 Henty Designs of Australia is a start-up company founded by cyclists Jeremy Gray and Jon Gourlay and the Wingman messenger bag is their first product. The Wingman is a suit carrier that allows cyclists to carry their garments to work crease free. 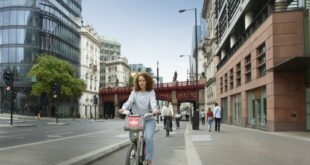 Henty’s representative in the UK Melissa Rollins said: “The Wingman provides convenience coupled with style and is perfect for business travel, commuting and the urban cyclist. We had a stand at the Triathlon Show at Sandown last weekend. Many people were impressed with it, and said so on social media." The Wingman has semi-rigid PVC ribs that run through the length of the bag which allow it to keep its cylinder shape. Once a suit and shirt has been placed on the integral hanger the Wingman rolls to become a messenger bag. The bag has a hi-viz waterproof cover and includes a tough kit bag that clips inside the suit carrier which has space to hold shoes, towels, toiletries and other accessories. In February the Wingman was a finalist in the BRANDNEW competition at the ISPO outdoor show in Munich. 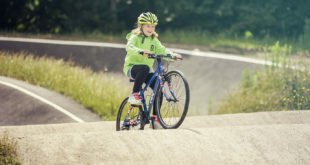 The Wingman costs £124 and is available from London bike shops, such as Swift Cycles and London Cycle Workshop, and is also available on the Henty website. Henty is also seeking other retail stockists. In April Henty will also be available in the US for wholesale and retail customers.